Day 1: Explore the different names of God. Using a concordance or an online search tool, make a list of the different names of God. You can check out this site for some great ideas. Praying the Names of God by Ann Spangler is a daily devotional on the subject. Examples include: Healer, Comforter, and Provider. Day 2: Discuss what the names of God mean. Think of examples in your own lives when God has revealed Himself in one of those ways. With little children, use well-known Bible stories and characters that demonstrate the different attributes of God. Think of manna in the desert as a demonstration of God as provider. Day 3: Create signs with the different names of God on them. The signs should be 6-8 inches in length, depending upon how many names you decide to use. Try to decorate the signs with pictures that depict the name. For example, for God our Provider, you could draw pictures of your house, a plate of food or a piece of clothing. 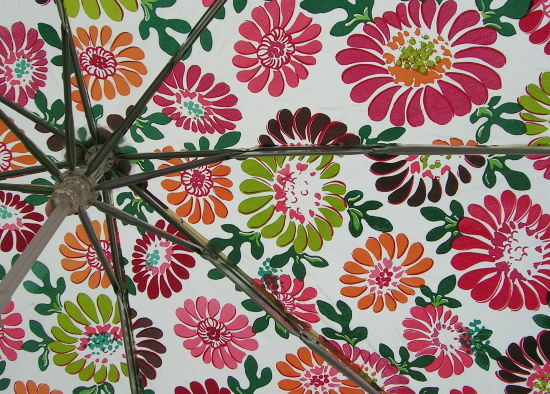 Day 4: Choose an umbrella that can accommodate the whole family under it. Tape the signs to the underside of the open umbrella. Gather the whole family underneath; it will be a tight squeeze! Talk about God being like the umbrella. When we choose to stay under His protection and love, we are safe. Look up and notice all of the wonderful things about God. If we step outside of His will, we do not have access to all the attributes of God that make Him worthy of our worship. Day 5: (optional – for older children) Talk about the fact that being under the umbrella does not guarantee that things will always go well. Because God is more concerned about our character than our happiness, we may experience times when we feel that umbrella is not there. Read Psalm 46 as well as 2 Corinthians 4:16-18 with your family and discover the power of God’s protection and eternal perspective despite our circumstances. Do you have any creative devotional ideas? We need to whatever we can as parents to make the Word of God relevant and alive to our children.